The aim of this study is to examine the economic impacts of increasing exports of Vibranium from the African nation of Wakanda. With the recent exposure of Wakandan technology and abundant vibranium resources on the global stage, many have begun to ponder what impact such an increase would have on the already wealthy country. While little is known regarding the economy of Wakanda (the nation’s reclusive government and self-sufficient and sustainable agricultural industry obviates publishing such data), it is possible to make accurate assumptions based on comparable international datasets. This report is divided into four sections. First, we explore the top 10 Wakanda sectors by Employment and Labor Income. Then we examine a hypothetical social accounting matrix for the Wakandan economy to see what impact would occur if the country increased its exports of vibranium. Third we provide the results of the impact analysis based on a sustainable increase extraction of Vibranium by 50%. Finally, we provide the conclusions we glean from this analysis. Want to explore the data for yourself? We've made the underlying economic data and structural matrices available for free to download for use with IMPLAN Pro. Agriculture is on the other two lists but not on the list below because agriculture workers are not highly paid. They are mostly self-sufficient and are not deeply involved in modern commerce. Public Administration is number two in Labor Income but not in the list for employment. Royalty is highly paid, but it does not make up much of the population. R&D is #1 for employment and output. Wakanda may be known for Vibranium, but their technology is really the leading industry. Education is also very high for labor income and output (also in top 10 for employment) which fuels their R&D workforce. Before initiating global Vibranium trade, the Wakandan economy reflected in the current data set, All Supply Demand Ratios, Average Regional Purchasing Coefficients (RPC), and Average Regional Supply Coefficients (RSC) are 100%. All Foreign Exports are zero. Wakanda produces everything they need domestically. Everything they produce is for domestic consumption (Table below). With the change to the Wakandan economy, a “post-Vibranium trade initiation” data set would show the Average RSC for Vibranium Extraction and Metal Products Manufacturing would be less than 100% and Foreign Export Portion would be greater than 0 for Metal Products Manufacturing. The local production of Vibranium Extraction and Metal Products Manufacturing would no longer be used solely to meet Wakanda’s demand for Vibranium; some local production would be going to meet the global demand. Because Metal Products Manufacturing is the industry that will be doing the exporting of their final good; only this industry would see an increase in Foreign Export Portion. If Wakanda does not start importing any goods or services all Average RPCs should stay at 100% as all local demand would still be met locally. Domestic Supply/Demand Ratio = the percentage of total local demand for the commodity that could possibly be met by local production. It is calculated by dividing Net Commodity Supply by Total Gross Commodity Demand, constrained to a maximum of 100%. Average RPC = the proportion of local demand for the commodity that is currently met by local production. It is “average” in the sense that there is just one RPC per commodity, so all industries and institutions are assumed to purchase that commodity locally at the same rate. Average RSC = the proportion of local supply of the commodity that goes to meet local demand. Foreign Export Proportion = the percentage of Total Exports that go to foreign countries. It is calculated by dividing Foreign Exports by Total Exports. 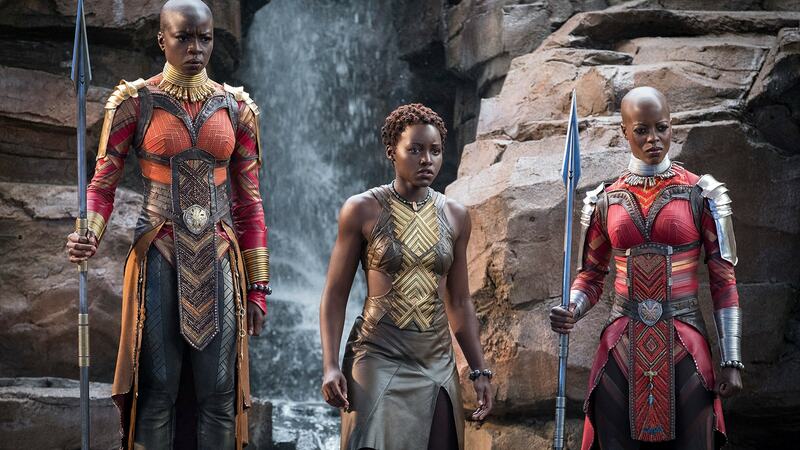 Wakanda is opening its borders to share Vibranium with the world. Wakanda hopes to help as much as they can in making the world more fuel efficient but it can only sustainably increase extraction of Vibranium by 50%. Looking at Wakanda’s current output in Vibranium Extraction, ₩36 Billion, we know only an additional ₩15.5 Billion worth of Vibranium can be produced. Wakanda has the capacity to increase Vibranium Extraction by 15.5 Billion in 2018. We will assume all of it is refined and transported for distribution and that Wakanda’s only metal production is refined Vibranium (no need to change the Spending Pattern). The Vibranium will be used an input to metal products so we can model the impact of the extracting the vibranium, refining the vibranium in metal products manufacturing, and distributing the finished vibranium to nearby ports by impacting Metal Products Manufacturing and applying margins. The vibranium extraction will be included as an indirect effect so there is no need to model it separately. Looking at Social Accounts > Balance Sheets > Industry Balance Sheets > Selecting Sector 9 Metal products manufacturing shows the Intermediate Expenditures required for Sector 9 with the percentage of Output that will be going to each item in Gross Absorption. The Gross Absorption for Vibranium is 28.766%. This means for every dollar of output in Metal products manufacturing, ₩ .28766 worth of Vibranium is needed as an input. (note: it looks like we’ve assumed Vibranium is the only metal produced in Wakanda). This is not enough to tell us how much final refined Vibranium will be produced as Vibranium may not only be an initial input in the Metal products manufacturing industry; it may also be an input further down the supply chain and is surely purchased by household. We want to find the amount of Metal products manufacturing Output that will result in ₩15.5B of Output in Vibranium extraction. We can do this using the Detailed Multiplier of Metal products manufacturing to Vibranium Extraction. So that our total impact to Vibranium Extraction in our impact results is ₩15.5B, we will find the Metal products manufacturing output that will generate this impact using the Type SAM Multiplier. The Type I Multiplier tells us the Indirect Output Effect to the Vibranium Extraction sector per 1 dollar of Output in Metal products manufacturing. Notice this number is higher than the Gross Absorption of Vibranium Extraction in the Metal products manufacturing Spending Pattern. This tells us for every dollar of output in Metal products manufacturing .2876 is spent on Vibranium Extraction as an immediate input. Another (.3212-.2876) = ₩0.0336 is spent on Vibranium Extraction in further round of indirect spending, or in other words, an additional ₩0.0336 of Vibranium Extraction Output is generated by business to business transactions further down the supply chain. The Induced Multiplier tells us the Induced Output Effect to the Vibranium Extraction sector per 1 dollar of Output in Metal products manufacturing, which is ₩00.007179. Combining Type I and Induced Multipliers gives us the Type SAM Multiplier, which tells us the Total Output Effect to the Vibranium Extraction sector per 1 dollar of Output in Metal products manufacturing, which is ₩.328404. We will use the Type SAM Multiplier to calculate the Metal products manufacturing output that will generate ₩15.5B of Vibranium Extraction output. Using the reciprocal of the Type SAM Multiplier we’d expect the metal products manufacturing sector to output 1/.328404 = 3.045 for every dollar worth of Vibranium consumed either within the industry supply chain or as a result of household spending. Therefore, Metal Products Manufacturing can output ₩15.5 Billion × 3.045 = ₩47.1975 Billion ~ 47.2B if Vibranium Extraction Output is limited to ₩15.5 Billion. What is the manufacturing impact of refining the Vibranium and transporting it for distribution? Creating a Metal products manufacturing Activity, applying Margins, then editing Margins will show, of the retail purchase of metal products, only 75% of retail sales of metal products manufacturing actually go back to the manufacturer (20% goes to wholesale/retail, 5% goes to transportation). Knowing this Vibranium will be sold abroad there will be no retail or wholesale impact involved in Wakanda. To capture the impact of transporting the Vibranium to a nearby port, we can inflate the Industry Sales value to include the portion of the purchasing price that will go to transportation. We’ll start by zeroing out the margin to wholesale and retail trade, Sector 16, and rebalance the margins. This leaves the margin on transportation, Sector 19, at 6.25% (makes manufacturing margin 93.75%). Scale up the producer price of ₩47.2 B to include transportation by multiply by the reciprocal of the percentage of sales going to the producer (1/.9375) ₩47.2 B × 1.06667 = ₩50.35 B.
Wakanda’s existing population cannot support this increase alone. In expanding its philanthropy, Wakanda has welcomed refugees from around the world seeking safe haven and employment. Let’s assume 75% of all new Vibranium extraction and manufacturing jobs will be filled by refugees. The other 25% will be filled by unemployed Wakandans and it’s newly coming of age workforce. All Labor Income is new to the region. Because the Employment is new in the region, the estimated Labor Income associated with the entered output should be modeled in this impact analysis. All impacts in IMPLAN are assumed to be new. In our Detailed Results we see two industries are directly impacted, Metal products manufacturing and Maglev, vehicle, and other transportation, the two industries included in our Margins. Metal products manufacturing makes up 93.75% of the Direct Output or ₩47,203,125,000, which transportation makes up the other 6.25% or ₩3,146,875,000. Notice, while Vibranium Extraction wasn’t included in our Margins, it is more significantly impacted in terms of Output than transportation due to large Gross Aborsportion of Vibranium in the Metal products manufacturing Spending Pattern. By appropriately generating our Metal products manufacturing output to limit Vibranium production, we see the total Output of Vibranium Extraction associated with this impact is estimated to be ₩15,500,000,000—the annual maximum to sustainably share Vibranium with the world. The ₩15.5B of output in Vibranium Extraction is generated by both, an Indirect and Induced impact. Overall, the potential economic impact for Wakanda is significant. However, as a self-sufficient economy, the nation of Wakanda might consider investing the profits from increased vibranium production in trusts designed to protect the country’s continued prosperity. Put simply, IMPLAN is built for everyone. With IMPLAN there are no black boxes. All of the background data used to create your personalized input-output models can be viewed and customized to reflect your Study Area. So now, what used to take economists weeks can be done in minutes. By anyone!